Our ten year old MacBook gets a new job. Having spent the first half of it’s life as our main computer, then a number of years as our daughter’s homework machine, the white MacBook was no longer able to run the programmes Em needed and retired to the back of the cupboard. Now it’s back! Happily running an older version of OpenCPN and chatting happily to the AIS in the wheelhouse it tells us where we are and who is around us on the water. Never too old to learn. Wat doe je met je oude laptop als je dochter het niet eens meer wil? Het is gelukt om deze tien jaar oude MacBook aan de AIS te koppelen en op de digitale kaarten van Rijkswaterstaat onze positie en de gegevens van de schepen om ons heen weer te geven. This entry was posted in Uncategorized on January 8, 2018 by Andrew. Yesterday afternoon Polo and I were walking along the Reitdiep over the dyke between Aduarderzijl and Ezinge. To the West I saw dark brown sails moving quickly down the reach from Rode Haan. Sailing on January 2nd. down the Retdiep before the wind and against the current; it had to be Tserk and his Willem Jacob. 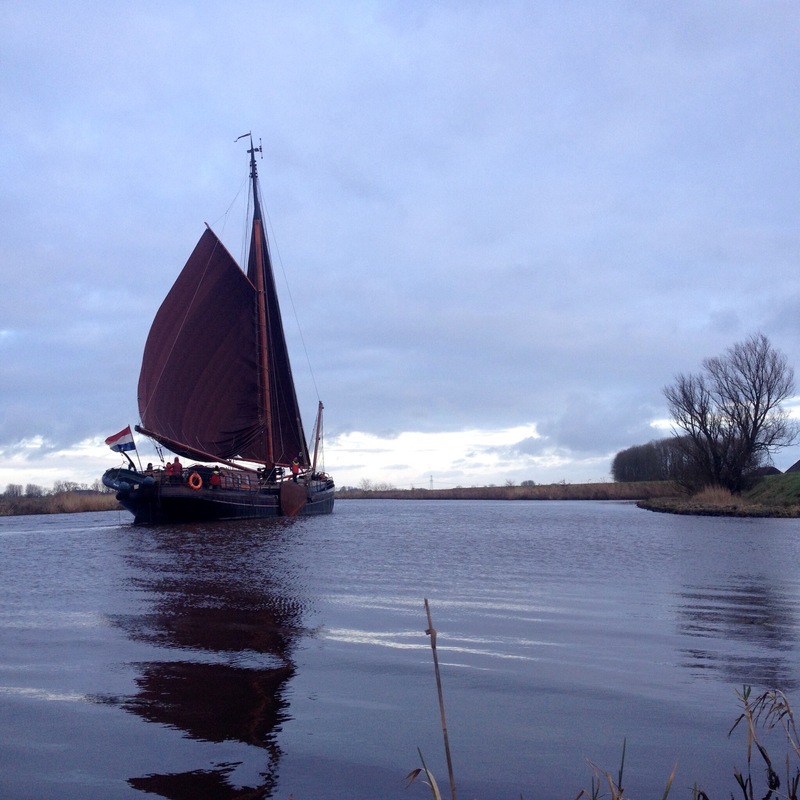 They jibed through the Ezinge bend and again at Schaphalsterzijl before easing sheets and lifting the tack to blow past us, where the Aduarderdiep joins the Reitdiep, and on to Garnwerd for the night. Willem Jacob voor de wind op het Reitdiep gisteren. De kunst van het zeilen op de binnenwateren van Nederland leeft nog hier in Groningen. This entry was posted in Uncategorized on January 3, 2018 by Andrew. My day started with a visit to our local wood yard in Doezum. A client had taken an option on this four metre piece of a French oak tree, 46 cm square. 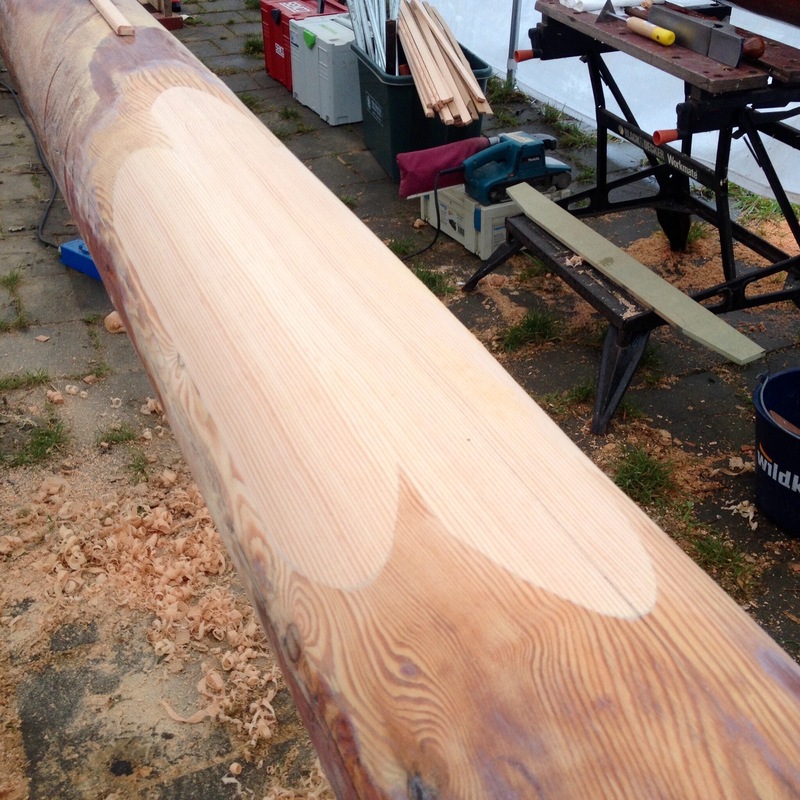 We agreed on a sawing plan to end up with a table three metres long, 58cm and a hefty 20cm thick. We’ll be sawing early next year. At the other end of the scale we have this shoe rack. 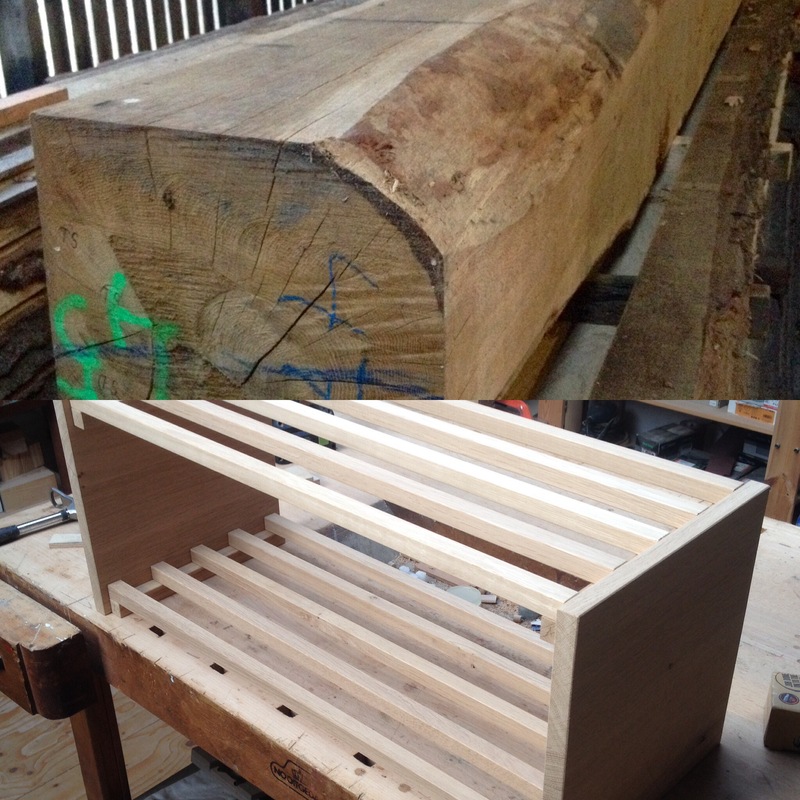 2 cm square pieces of oak that at some point were part of a similar tree. All in a day’s work. Twee uitersten vandaag. Een zware eiken stam voor een tafelblad dat uiteindelijk 20 cm dik zalzijn, en een schoenenrek van 2 cm eiken latjes. Even boeiend om te maken. This entry was posted in Uncategorized on December 4, 2017 by Andrew. If the local gossip is true, we have the last working ATU aboard a ship in Groningen. A compliment for the system developed by EcoSave. After six years of use it was time for a service operation. 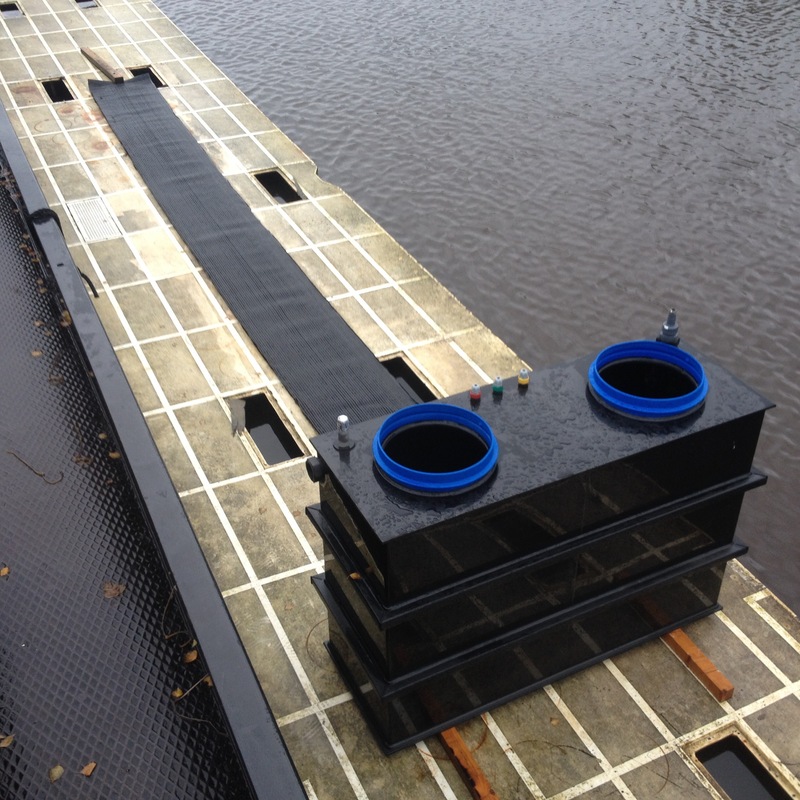 The matting and tanks have been pressure cleaned and the sprayer pump replaced. This was the only part of the system to have failed. Now it’s time to crane it bback aboard and connect it up for another six years. Als we de roddels mogen geloven hebben we de laatste werkende IBA (individuele behandelunit afvalwater) in Groningen. Na zes jaren dienst tijd voor een grote beurt en een nieuwe sproeierpomp. Nu weer terug aan boord en aansluiten. This entry was posted in Uncategorized on November 22, 2017 by Andrew. 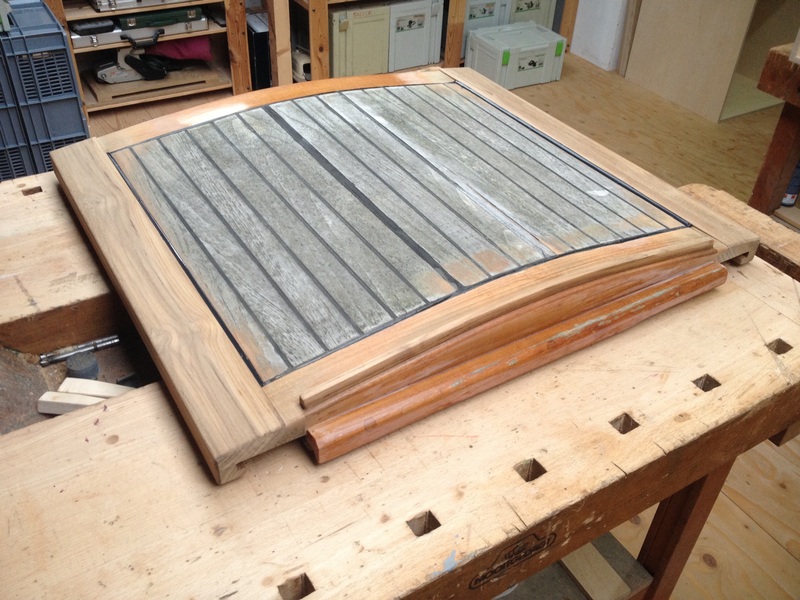 We have a parallel production of two tables underway in the shop aboard CAS at the moment. 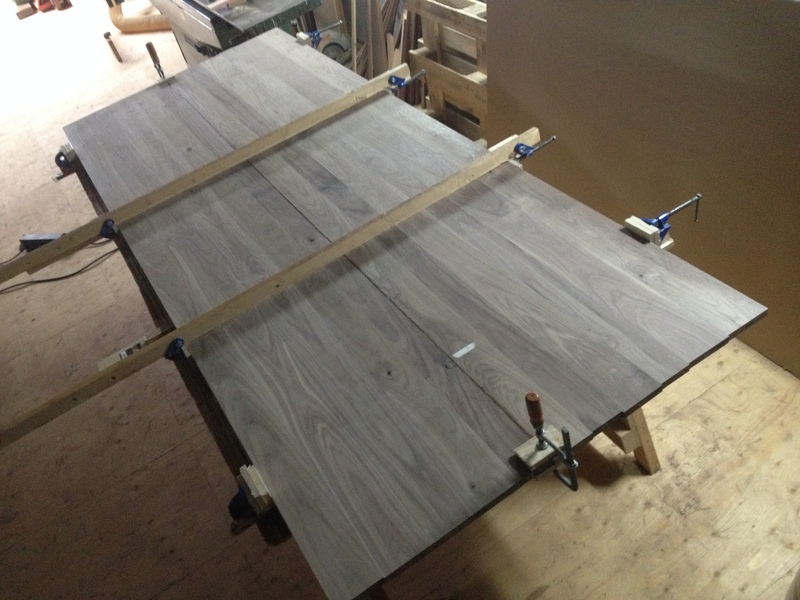 First a large walnut table top to a client’s design, that will sit on a stainless steel frame that he is building himself. 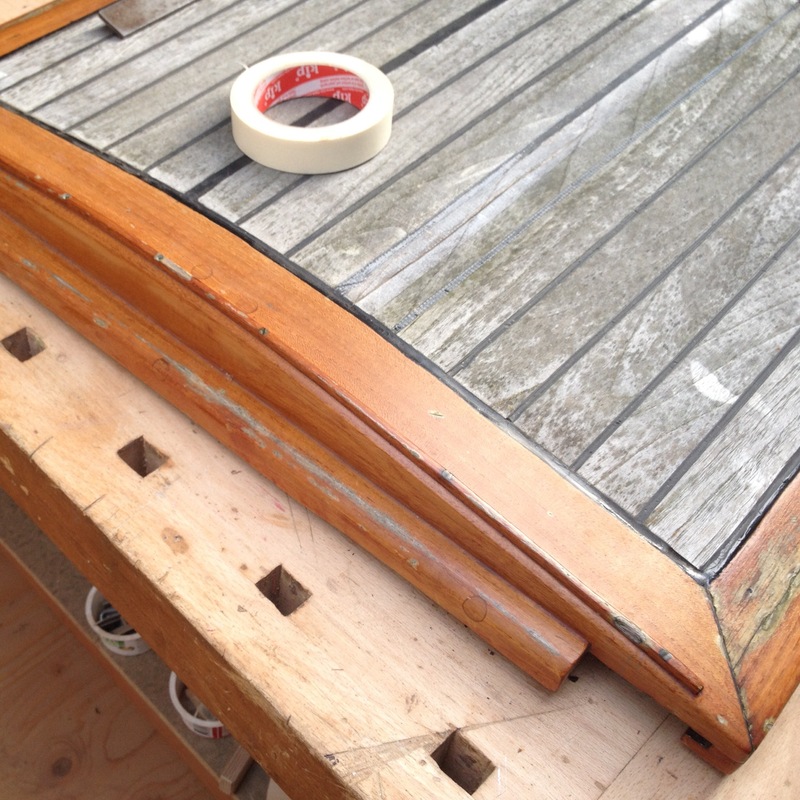 Lovely dark walnut, with the knots filled with epoxy, to be primed with injection epoxy and spray-painted with a soft silky transparent two-pack finish to bring out the deep colours of the wood. As the other end of the spectrum, and the other end of the shop, a white oak table following a 1970’s design by Richard LaTrobe Bateman, inspired by monastery furniture. 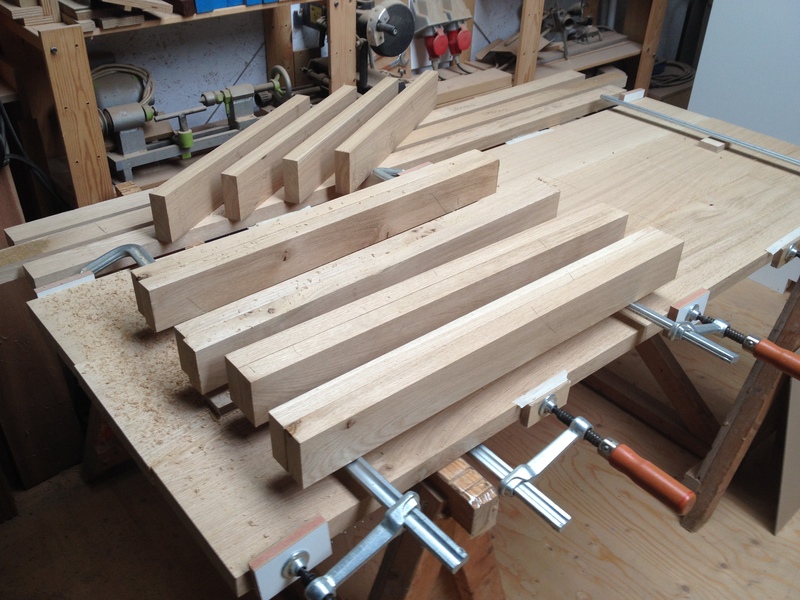 All angled mortise and tenon joints, bridle-jointed bearers and buttons, then finished with Skylt to look as close as possible to unfinished oak while protecting the light coloured wood. This entry was posted in House work, Work and tagged wood, work on September 17, 2017 by Andrew.